The I Want Candy star put his touring plans on hold and sought out professional help in an undisclosed location after medics urged him to put his well-being first following an appearance on U.S. TV show The Doctors, during which he confessed to addictions to prescription painkillers and cosmetic surgery. The 29-year-old reportedly checked in to a treatment centre in Florida, but he is now heading home. "Aaron has left the facility where he has been working on his wellness," his representative Steve Honig tells E! News. "Several legal and personal matters arose that required his immediate in person attention. He is still very much committed to his wellness and will be continually working toward being the best possible person." Honig did not elaborate on Carter's personal and legal issues, but before Aaron entered rehab he assured his fans he was committed to getting better. "Only I can change my life. No one can do it for me," he wrote on Twitter. Aaron has endured a dramatic few weeks - police reportedly paid a visit to Aaron's St. Petersburg, Florida home in September (17) in response to a call to check on his welfare, but the singer seemed to be fine and no further action was taken. He also broke his nose in a car accident near his house in September (17), days after reportedly becoming the victim of harassment and an attempted burglary. 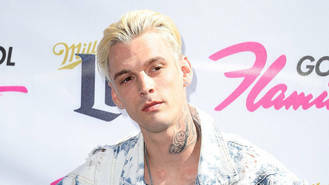 The troubled star, who recently 'came out' as bisexual and split from his girlfriend Madison Parker, was also arrested in Georgia in mid-July (17) for driving under the influence and marijuana possession.